Formation evaluation is an important process for oil exploration and production. Its main principle is to use special downhole equipment to measure the resistivity, acoustic speeds, etc. of various geological formation layers. An openhole well log will be generated and geologist can interpret the recorded log data to observe many useful parameters such as porosity, saturation, etc. which are key factors to evaluate the oil & gas reservoir. There are three major well logging methods for formation evaluation, electrical, nuclear and acoustics. 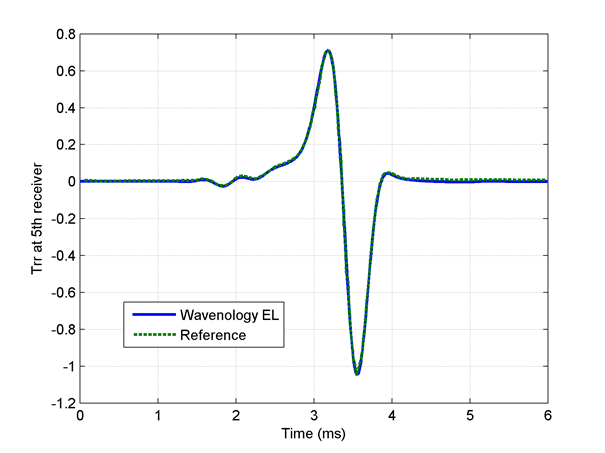 Wavenology EL is a fully validated commercial software, the comparison between Wavenology EL simulated results and analytical calculated results are presented in figure 1, where (a) shows the monopole excited wave signal in an openhole. And the (b) shows the wave signals in a homogeneous lossy medium. Fig. 1. 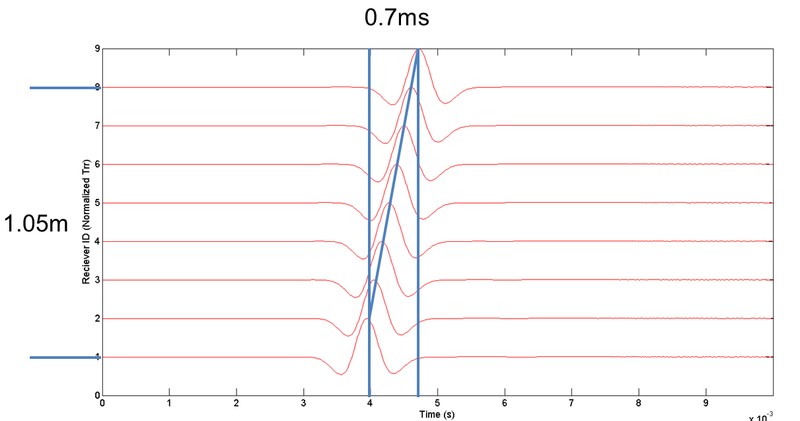 (a) Monopole excited signals in openhole; (b) Monopole excited signals in lossy homogeneous medium. 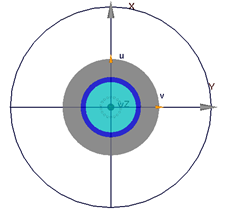 There are two types of elastic waves when the propagation occurs in solids, namely, the compressed wave (P-wave) and the sheared wave (S-wave). Different formation solids has different P and S wave characteristics. 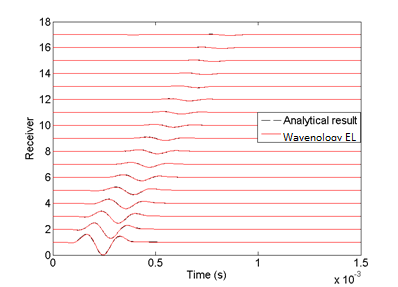 To demonstrate such description in the most straightforward way, we used the software Wavenology EL to simulate elastic wave propagation in water, stainless steel and saturated shale. Fig. 2. (a) Elastic wave propagation in water; (b) Elastic wave propagation in stainless steel; (c) Elastic wave propagation in saturated shale. Fig. 3. (a) Elastic wave propagation in Z-layered medium; (b) Elastic wave propagation in R-layered medium; (c) Elastic wave propagation in Phi-layered medium. 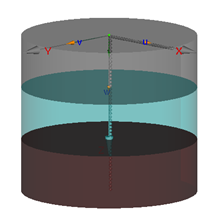 Elastic wave behavior in borehole is more complicated than the one in homogeneous medium. 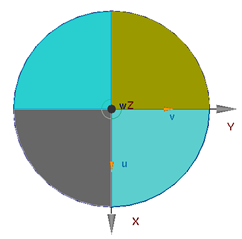 Guided waves are formed, typically, the compressed and sheared head waves can still be measured, and a strong stonely wave travel at the borehole liquid speed can also be observed。 The detailed mathematical formulation of elastic wave propagation in borehole is beyond the scope of this topic. We use one example to visualize the elastic wave behavior in an openhole. Fig. 4. 3D openhole model. Fig. 5. 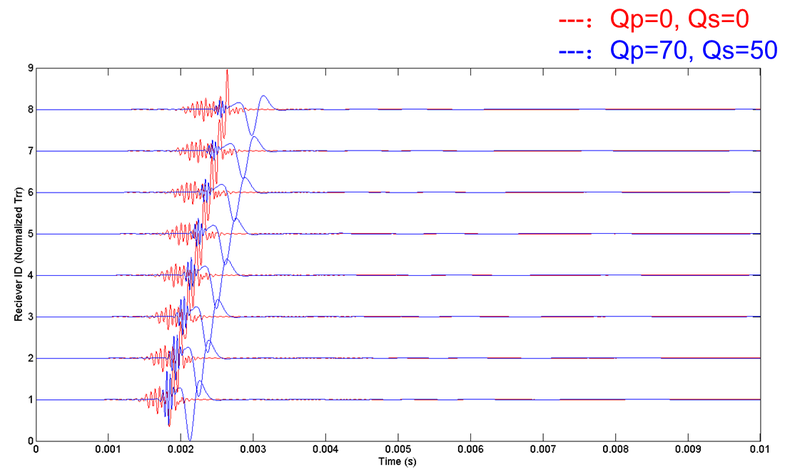 1kHz Ricker wave propagate through open hole in fast formation. Fig. 6. 5kHz Ricker wave propagate through open hole in fast formation. Fig. 7. 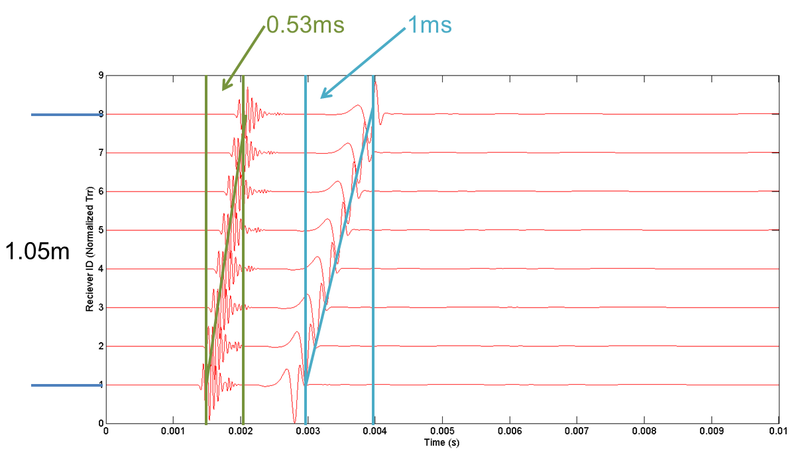 10kHz Ricker wave propagate through open hole in fast formation. Fig. 8. 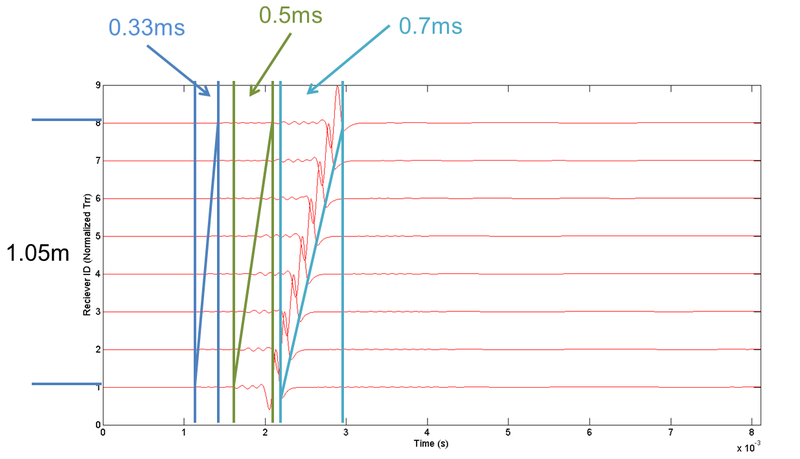 10kHz Ricker wave propagate through open hole in fast and lossy formation. Fig. 9. 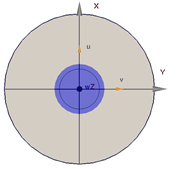 1kHz Ricker wave propagate through open hole in slow formation. Fig. 10. 5kHz Ricker wave propagate through open hole in fast formation. Fig. 11. 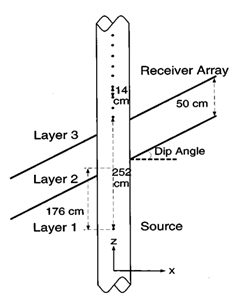 10kHz Ricker wave propagate through open hole in fast formation.